Cathleen Warner holds the teddy bear that has the recorded heartbeat of her daughter, Erin, who lived just 27 minutes. The baby who would soon die arrived at 34 weeks, eyes shut, squawking. Her father cut the umbilical cord with a pair of silver scissors. A priest in blue scrubs sprinkled Holy Water on her forehead. A photographer circled the delivery room, capturing her last moments. And Cathleen Warner quietly marveled: My baby is crying. The doctor had said the infant’s lungs could never fill with air. Prenatal testing five months earlier had revealed a chromosomal abnormality called Trisomy 18. “Incompatible with life,” the physician told her on the Saturday phone call. Warner had dropped to her knees in the kitchen. Now the baby’s heartbeat was fading. But she was still breathing. Perhaps they’d have at least five minutes together, Warner thought. She kissed the newborn’s cheeks, just like she’d envisioned, and prepared to say goodbye. This is perinatal hospice, a birth plan that revolves around death. Thanks to increasingly sophisticated diagnostics, families today can confront tragedy with advance notice — and a decision: Should they terminate a pregnancy that cannot sustain life? Or deliver a baby who won’t survive long outside the womb? This dilemma is steadily creeping into America’s abortion debate, with some Republican lawmakers using perinatal hospice as a political tool. Over the last decade, antiabortion activists have worked with legislators to push the care model into mainstream consciousness, promoting bills they hope will steer women away from a procedure they consider murder. 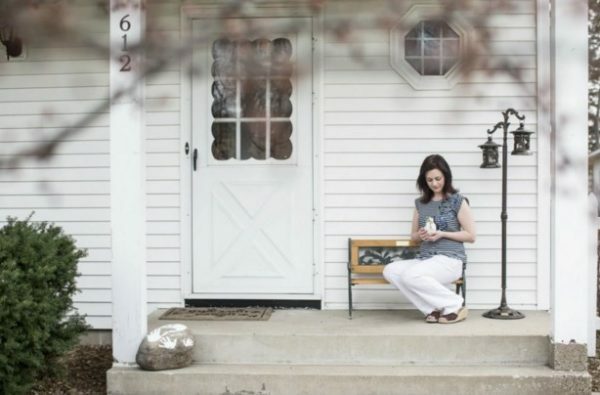 Last month, Indiana became the sixth state to require doctors to counsel women who have received fatal fetal diagnoses about perinatal hospice before they terminate a pregnancy. Perinatal hospice, however, isn’t connected to religion, said Tammy Ruiz Ziegler, a Virginia nurse who started Mary Washington Hospital’s program in Fredericksburg, Va., in 2006. Ruiz Ziegler has met parents from both sides of the ideological aisle who have decided to continue nonviable pregnancies. Some feel it helps them grieve, she said. Some want to know they’ve done everything they could. They’re acknowledging a demand for an alternative to abortion for women carrying nonviable fetuses, a need that previously received little attention, she said. Before technology offered families any warning, doctors who delivered terminally ill or stillborn babies would often take them away from their mothers to die. In the 1970s, as genetic testing gained prominence, parents moved toward expressing their own preferences. Mothers and fathers requested to hold their babies, if only for a minute. A children’s hospital in Denver became the first in the U.S. nation to develop hospice care for terminally ill infants in 1980, according to the Catholic Health Association of the United States. The program started as a separate room for grieving families in the neonatal intensive care unit. Psychiatrists instructed nurses on how to talk to parents in moments of stress. Perinatal hospice grew as more parents connected online and learned about what has since become a flourishing community, Ruiz Ziegler said. Most hospitals will accommodate a parent’s end-of-life wishes, if they ask. But hospice care creates an especially gentle environment with professionals trained to handle despair. By 2006, when Ruiz Ziegler started, about 40 medical centers in the United States had some type of formal perinatal hospice program, according to PerinatalHospice.org, a website that tracks formal programs. Today, there are 202. Families can invite a religious leader into the delivery room. 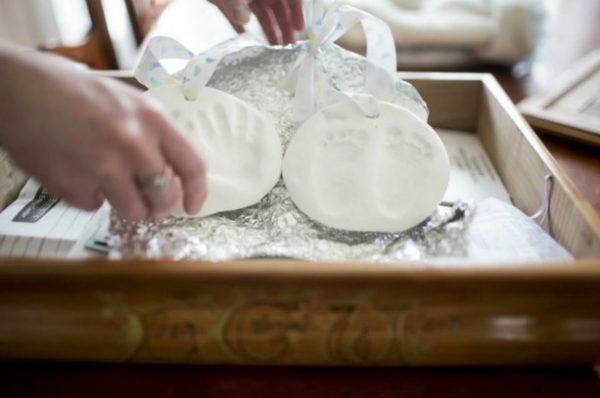 They mold their infant’s footprints in clay. They sing lullabies, and prepare bubble baths and hire a photographer. 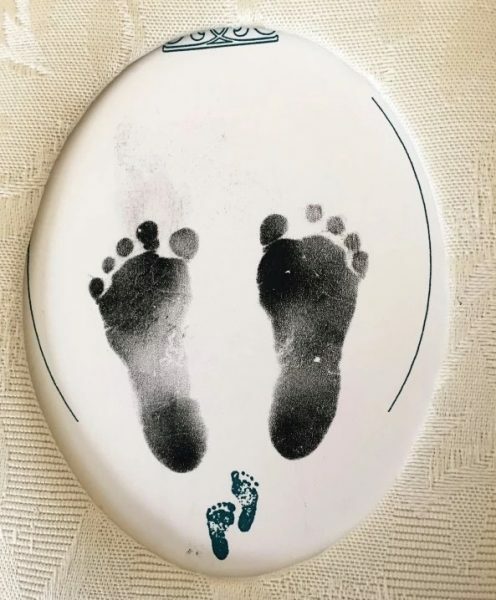 Natalie Wilson — whose son, Liam, died about 50 hours after he was born — goes through a box of his memorabilia in her home in Blaine, Minn. Wilson, a neonatal nurse, was 21 weeks pregnant when she learned her baby’s heart would fail and decided to carry it to full term. Ruiz Ziegler stays nearby to provide emotional support or pain medication for a baby who appears uncomfortable. A child can live for minutes, she said, or weeks. In recent months, perinatal hospice has emerged at the center of the debate over when life starts and how it should end. The mandate’s authors borrowed a strategy from national antiabortion groups such as Americans United for Life and National Right to Life, which provide model language about abortion alternatives to state lawmakers. Mary Spaulding Balch, director of state legislation for National Right to Life, started working on perinatal hospice laws about 10 years ago, she said, when Minnesota became the first state to require doctors to tell women about the care model before they end a pregnancy. The 2006 amendment to a state abortion restriction mandated “comprehensive support to the female and her family” through the diagnosis, birth and death of an infant. Steven Calvin, medical director of the Minnesota Birth Center, a free-standing maternity complex in Minneapolis, said he saw an opportunity to raise awareness about perinatal hospice in 2003 after Minnesota passed the Women’s Woman’s Right to Know Act — a mandate compelling physicians to show patients photos of fetuses at each stage of gestational development 24 hours before they get an abortion, among other things. Calvin, who is against abortion, felt said forcing women who had received fatal fetal diagnoses to look at images depicting healthy fetuses was inappropriate. He contacted lawmakers and suggested an amendment: Why not add information about perinatal hospice? Arizona, Kansas, Mississippi and Oklahoma have followed Minnesota’s lead, adding mandates that women considering an abortion must first receive information about perinatal hospice. Like in Minnesota, the provisions appeared in laws antiabortion groups call “informed consent” measures. Critics said the policies insert the government in private conversations and present an unnecessary obstacle between a woman and a legal medical procedure. The Indiana measure inspired a bigger wave of swift backlash from women who interpreted it as a way to further stigmatize abortion — and parents who don’t want their most intimate choices politicized. A MoveOn.org petition to stop the law, created by a group called Indy Feminists, raised concern the state-mandated counseling would pressure grieving parents toward a particular course. “Patients are getting a message about what is the ‘correct choice’ in the eyes of the state,” said Harmony Glenn, 29, a member of the group who works at an Indiana medical center. The American College of Obstetricians and Gynecologists, a national group of roughly 30,000 physicians, meanwhile, released a statement condemning the move, urging Pence to keep medical discussions between patient and doctor. Lisa Hollier, a Texas obstetrician-gynecologist who has cared for mothers who have faced a terminal diagnosis, said she walks parents through each option, without pressure. Warner sensed something was wrong before any test could tell her. When she was 10 weeks pregnant, the doctor confirmed her fears. Erin, as the baby was to be named, would not fully develop her lungs and heart. She would either die in the womb or shortly after birth. Warner said she was a “pro-choice Catholic.” But for weeks she could not decide whether she wanted to have an abortion. She declined when a nurse offered her a recording of the fetus’s heartbeat. Then she changed her mind and put the device inside a teddy bear. Cathleen Warner’s daughter, Erin, lived just 27 minutes. She and her husband consulted two priests. One implied abortion could send her to hell; the other told her to pray. Her indecision held until the baby she carried reached a gestational age of 19 weeks. So, Warner went to support groups and routine checkups. She found a photographer, invited her extended family to the hospital on her due date and arranged for a grave site in Quantico, Va. When the fetus’s heartbeat started to slow at 34 weeks, Warner’s doctor suggested a Caesarean section. That would give them the best chance to meet her. Erin died in her dad’s arms. She was 27 minutes old. Eight years later, Warner, now 46, cherishes the memory of her birth. She remembers it as joyful, as though the first wave of grief prepared her for the baby’s last minutes in the delivery room. She placed Erin’s portrait on her mantle mantel. She wants other expectant mothers to know, though: There is no best way to handle a fatal diagnosis. Natalie Wilson’s son, Liam, died about 50 hours after he was born. She is holding his ashes in a bag made by his grandmother. When Natalie Wilson was 21 weeks pregnant, she learned her baby’s heart would fail. The doctor offered three choices: She could try a risky surgery, have an abortion or deliver an infant who would soon die. Wilson, a neonatal nurse in Minnesota, did not want her boy’s life to end on an operating table. She didn’t feel comfortable with abortion, either. So, she found a pediatrician who would prescribe morphine for a terminally ill newborn. Because she’d worked with sick babies for most of her career, she knew that, as a parent, she could influence how, exactly, her newborn’s life would end. She wanted it to be gentle — a death surrounded by loved ones. She has since become a perinatal hospice nurse. She hoped to carry Liam, as the baby was to be named, for a full nine months. His breath, she decided, would slow in her husband’s arms. Wilson recalls slipping into a mental fog on Dec. 22, 2011 — the day Liam was diagnosed with hypoplastic left heart syndrome. She’d been excited to have another child, picturing a younger brother to play soccer with her 4-year-old son, Gavin. Suddenly, grief settled over everything. Wilson can’t remember much about that Christmas. For the last half of her pregnancy, Wilson fought to stay present. If Liam kicked, she tried to enjoy it. She posed for maternity photos in a cropped purple top. She pressed her pug, Pixie, against her belly. She didn’t tell her co-workers — all nurses — that Liam was both growing and dying. She wanted them to treat her like a “normal” pregnant woman. He was born that April crying, with fingers spread open. His extended family gathered at the hospital, passing him around. The next day, unsure of how long Liam’s heart would keep beating, Wilson wrapped him in a blue-striped blanket and took him home. She stayed up all night with her husband, Alan, taking turns rocking the baby. She listened through a stethoscope to his heart. Liam seemed to look at his family — each of them, individually, Wilson recalls. Then he shut his eyes. Previous PostPrevious There is no ‘normal’ when it comes to kids and grief. And that’s okay.